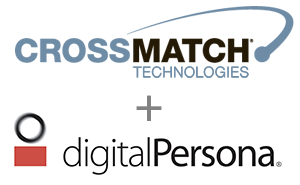 Palm Beach Gardens, Fla. — 4-21-2014 — Cross Match Holdings, sponsored by Francisco Partners, and DigitalPersona® today announced a definitive merger agreement that will combine the two companies. With more than 300 employees, an extensive network of partners and millions of users relying on its solutions worldwide, the merged companies will have a strong global presence in the government, financial, retail, defense, law enforcement and corporate markets. Rich Agostinelli, industry veteran and current CEO of DigitalPersona, will assume the same role for the combined company, which will continue to be headquartered in Palm Beach Gardens, Florida. Cross Match Technologies, Inc. is a leading innovator and provider of biometric identity management solutions to governments, law enforcement agencies, and businesses around the world. Offerings include multiple biometric technologies for mobile and stationary use that encompass fingerprint, palm and full-hand scanners, facial capture systems, iris scanning technology, secure document readers, biometric enrollment and matching software, and related services. For more information, visit www.crossmatch.com. DigitalPersona offers the world’s broadest portfolio of biometrics-based identity verification solutions. Applications range from highly secure banking environments and complex government identity programs to point-of-sale retail systems. Our solutions verify the identity of more than 200 million authorized users worldwide and significantly reduce the risk of fraud, theft and unauthorized access. Offerings for end-users and system integrators include industry-specific software applications, complete SDKs and a full range of optical, silicon, touch, swipe and embedded readers. For more information, visit www.digitalpersona.com.